Welcome to Tuesday's Table! We had a great week of grilling last week. What do you have to share this week? 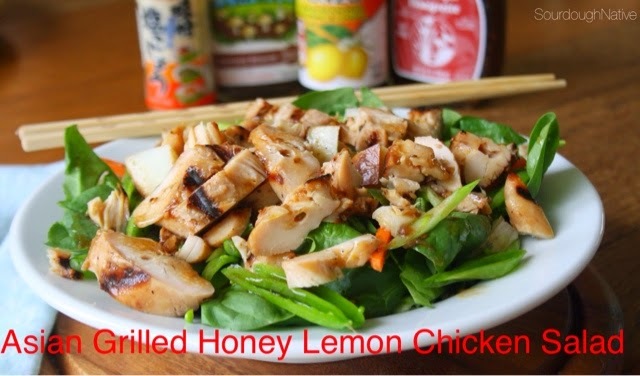 This week's feature is Sourdough Native's Grilled Asian Honey Lemon Chicken Salad. I love a great chicken salad, and this one looks like the perfect mix of asian flavors and lemony chicken. So delicious - and just right for a summer evening! You need to head over and see her site. Susan-thank you for featuring my Grilled Asian Salad on your sweet blog! I grabbed a button.